Have you encountered this big word “otolaryngology”? Quite a mouthful indeed! It comprises of four root words put together to form a new medical term: otic (of the ear), olfactory (pertaining to the nose) and larynx (or the throat) and logy (the study or the care of). Hence, it simply refers to the medical study and care of diseases and problems that beset our ears, nose and throat. Whereas, previously the eyes were part of the three in the former medical acronym EENT, ENT (shorter and simpler way) now refers only to the said vital three organs of the human anatomy, particularly because they are directly interrelated not only in their proximity to one another but also in their functions. The eyes comprise a highly-specialized function although not entirely unrelated to that of the three. So, what is otolarynologic method used for tumors? Let us first describe briefly the connection of the three for a better appreciation of what Dr. Isaacs can offer for patients suffering this kind of problem. The nose, perhaps, the most prominent of the three, is connected to the throat as well as throat through passageways that allow the air we breathe to be conducted into our lungs. Although the ear was not designed as an air passage, it does allow air to enter through the ear canal with the help of valves that control the intake or outtake. Often, when we cough or sneeze, we can feel some air forced out of our ears and even experience slight deafening when we have colds because of some clogging of the passageways. At times, when we travel up the mountain, we can have the same effect when the pressure inside our ears is higher than that outside. Yawning can easily remove the discomfort by opening up the valves and equalizing the pressure in and out. That is a simple description of the three organs as they relate with one another at their optimal level of functioning. But what if something happens to either one of these organs? Or especially, for example, if a tumor grows in any one of them? We know that cancer cells can occur in any part of the human body. For smokers, often the effect on the throat (not to mention the lungs) is patently tragic as it bears the brunt of the toxins and carcinogens carried by the cigarette smoke. Dr. Rich Isaacs’ expertise will remove tumors or cancer cells from the throat, as well as the ears and nose, through his wide knowledge and experience in otolaryngologic procedures obtained from many years of practice in this field, among other fields he is involved in. His know-how regarding how these organs function and how they can malfunction forms a strong foundation for treating them whenever issues in structure, function and general muscular or cellular conditions arise. Dr. Isaacs provides a complete range of diagnostic, medical, and surgical services for ear, nose, and throat conditions, particularly cancer. Evaluation, diagnosis and/or direct treatment of these conditions which may include chronic ear infections, hearing loss, sinusitis, tonsillitis, airway problems, cysts, and tumors of the head and neck, comprise some of the problems he and his staff are capable of addressing with their professional and expert care. Dr. Richard Isaacs has practiced with Kaiser Permanente from 1995 to the present and has Advanced Certification in Head and Neck Oncologic Surgery to his name. He specializes, in particular, in orbital, nasal, and maxillofacial surgery and also in thyroid and parathyroid surgery. His many years of experience in otolaryngologic procedure for tumors at the skull base has made him a valuable regional resource for the treatment of advanced tumors of the head and neck. The head and the neck are two body parts we rarely give so much thought to; ironically it seems, for the mind finds its home right at the top of the first which, in turn, is supported by the second. Obviously, it is only when we feel pain on these parts that we think of them as ever providing us vital functions without which we would not exist at all or, at least, lead normal lives. The neck bones and the skull which are connected to each other provide the structure for the two organs to function and to interrelate. Aside from providing support, the neck contains vital parts which allow us to breathe, use language, to sing, to ingest food, to rotate the head and to allow passage for electrical energy and biochemical substances which complete the entire bodily system necessary for human life. As well, the head contains the brain and all the basic senses we utilize to function as intelligent living beings. Except for the heart and lungs which provide essential functions for the brain to function well, the brain can be said to be the prime motor which allows the whole body to accomplish all that it was designed to do fundamentally or achieve potentially. Intellectual genius and athletic prowess would not at all be possible without the brain, supported by all other faculties and organs, doing a big part of the work. Dr. Isaacs possesses broad experience and know-how in handling these medical conditions. He has Advanced Certification in Head and Neck Oncologic Surgery, making him one of the best practitioners available for patients suffering the said problems. When it is about the head and neck, leave it to Dr. Rich to think and worry about as he has a way of helping your needs with professional medical care. At the least, he will take much of the burden of thinking how to resolve your problem medically. That can certainly remove a lot of pressure and worry from your own mind to begin with. Dr. Richard Isaacs has been a valuable part of Kaiser Permanente since 1995 and possesses Advanced Certification in Head and Neck Oncologic Surgery, with specialties in orbital, nasal, and maxillofacial surgery, as well as thyroid and parathyroid surgery. His works as a regional resource for the management of advanced tumors of the head and neck and provides the otolaryngologic procedure for tumors at the skull base. In addition, he is trained in Facial Plastic and Reconstructive surgery and has an interest in post-tumor facial reconstruction and facial reanimation surgery. But what is this otolarynologic procedure used for head tumors? Let us briefly explain to get a better appreciation of what Dr. Isaacs offers for patients with this kind of problem. Otolaryngology simply refers to medical attention given to ear, nose and throat conditions. Whereas in the recent past, EENT put all these three together, that is, including the eye, ENT (perhaps, a shorter and simpler way) now only refers to the said vital three organs of the human anatomy, especially because they are connected and related not only in terms of distance to one another but also in their functions. The nose, probably the most conspicuous among the three, is connected to the ear, as well as to the throat through passageways that allow the air we breathe to be conducted into our body interiors. Although the ear was not specifically designed to serve as a passage for any fluid, whether air or liquid, it does allow air to enter through the ear canal with the help of valves that control the intake or outtake. Hence, every time we cough or sneeze, we can feel some air going out of our ears and even feel a bit slight hearing loss during colds due to some clogging of the passageways. Likewise, when we climb up a mountain, we can experience the same effect when the pressure inside our ears is higher relative to that of the pressure outside. This is easily solved through yawning, which alleviates the discomfort by opening up the ears valves and equalizing the external and internal pressures. That is a simple description of the three organs as they relate with one another at their optimal level of functioning. But what if something happens to either one of these organs? Or especially, if a tumor grows in any one of them? We know that cancer cells can occur in any part of the human body. For smokers, often the effect of the habit on the throat (not to mention the lungs) is patently tragic as it bears the brunt of the toxins and carcinogens carried by the cigarette smoke. This is where Dr. Rich Isaacs’ expertise comes in. Removing tumors or cancer cells from the throat, as well as the ears and nose, requires a wide knowledge and experience in otolaryngologic procedures which he has acquired as a top practitioner in the field, among other fields he practices. Knowing how these organs function is a vital part of treating them when they encounter issues in structure, function and general muscular or cellular conditions. In general, medicine is recognized as a very broad area of study and involves so many various fields of health-care as well as different approaches and applications, whether we are talking of traditional, alternative and even emotional-healing practices. Most people, however, rely on the general field of medical practice accepted by countries and societies as the scientific and professional field of health-care practiced by graduates of Schools of Medicine and are referred to as Doctors of Medicine (MD’s). Today, the willingness or passion to provide people with physical healing is not fully applied or recognized without leaving the comfort of one’s world and into the greater arena of the vast majority of people who need healing and proper medical care. The worldwide web has significantly eased the problem of how to make health care readily accessible to others. And, obviously in medicine or the medical profession, as it is often referred to by those tasked with providing health care to the ailing patient, the patient must not only seek the doctor; the doctor must also make himself or herself available and accessible as much as possible. The physician or MD, in general, needs to be fully equipped and qualified to offer basic health care using methods accepted by most public health-providers in accordance with modern professional health-care methods. However, we all know that even old traditional healing approaches, which have been proven by modern research to be effective and are administered by more and more doctors along with modern medical practices, for instance, acupuncture, chelation and others. Which means that we have advanced in such a way that we have greatly enhanced the human power to serve the health needs of many people who require effective medical attention. Likewise, those who are given the function of administering such highly-specialized expertise must have a source of surplus amounts of diligence, persistence and altruism not easily available to majority of people. A primary model of this innovative professional medical practitioner is Dr. Richard Isaacs, MD, who has availed of the Internet to widely post his qualifications and his specialization to more people needing his particular field of practice. This direct way of promoting one’s profession to the greater community online may seem a bit unusual and even suspicious to many. Yes, it may even seem to demean the respected position the medical doctor whom many view as being more altruistic or unselfish than other professions. However, that may have been true in former times when doctors plied their trade as mainly unrecognized or unappreciated employees of medical institutions or small-time family doctors running day clinics in distant towns. At present, however, doctors organize and put up poly-clinics offering alternatives to hospitals as diagnostic and medical-consultancy centers in many urban areas. Yes, gone are the days when doctors hang up front-door signs and worked as free-lance-private doctors for a small regular clientele within a neighborhood or a residential subdivision. The increase in the number of doctors and medical-health practitioners has also altered the way medical services are administered or practiced, especially with the advent of increased medical specialization and use of advanced medical technology. Hence, a physician in some cases is not required to physically visit a patient in order to serve his or her needs which may not include surgery or delicate attention by a physician and which a nurse or a training physician can readily handle. And even in more serious cases where the physician is not available as long as there are other skilled health-givers who can take the place of the doctor without endangering the patient unduly. It is, in fact, not uncommon now for a patient to be in a hospital for a day or two without having seen a specialist, who may be unavailable, while providing the needed proper medical attention through other available doctors. The way medicine is practiced nowadays has evolved with the times and the demands of modern world, whether we understand it or not. As such, having a doctor such as Dr. Richard “Rich” Isaacs post his qualifications and experiences online provides a refreshing view of the medical profession not only in its application but likewise in its accessibility to people who require it. Thanks to people such as Dr. Isaacs for opening an innovative alternative to looking for medical help minus the trouble of walking or asking around for the proper medical attention needed so direly. And often, in matters of life and death, time is of the essence. Rich is trained in Facial Plastic and Reconstructive surgery and has wide experience in post-tumor facial reconstruction and facial reanimation surgery and has an Advanced Certification in Head and Neck Oncologic Surgery, specializing in orbital, nasal, and maxillofacial surgery, as well as thyroid and parathyroid surgery. To get an appointment with Rich Isaacs, get his contact info on this website and dial away. Didn’t we say he is available and accessible? Yes, he is within reach to anyone needing his specialization in Sacramento, California where he resides and works. In the modern world, the desire or the willingness to help others solve their problems is not complete without coming out of the confines of one’s comfortable world into the broader community of people struggling through life, in need or in pain.The Internet has helped to bring this eagerness to reach out to others to its fulfillment -- especially in the field of medicine or medical practice, as it should be more properly called by those who are charged with administering health care to the ailing patient. Medical practice is obviously a wide subject and incorporates so many different aspects of health-care and variations of methods or approaches, from traditional, alternative and even emotional in nature. The majority of people, however, depend on the general field of medical practice recognized by most societies and governments as the scientific and professional field of health-care provided by products of Schools of Medicine and are referred to as Doctors of Medicine (MD’s). The more common term “physician” has also become synonymous with MD. To be a physician, in general, is to be qualified to provide essential health care using methods recognized by most public institutions as in keeping with accepted modern medical practices. This does not mean, of course, that ancient practices which have proven to be effective are without value in the modern medical profession. It only means that we have progressed to the level of fine-tuning the human capability to provide health care and to alleviate the sufferings of millions of sick people. And the people tasked with providing such highly-specialized skills also possess higher amounts of persistence, diligence and self-sacrifice than most people. Dr. Richard Isaacs, MD, is a prime example of the qualified modern physician who has made good use of the worldwide web to present his credentials and his services to those who require medical care or assistance. A lot of people might either be surprised or turned off by such a direct approach to promoting one’s profession to the greater virtual community out there. That is because it might come out as somewhat demeaning to the noble profession of the physician which many consider to be more altruistic or service-oriented than most other vocations. But that was common in the older times when medical practitioners worked silently in the bigger institutions, hospitals or hole-in-the-wall clinics they worked in. Today, doctors form so-called poly-clinics to provide a para-hospital alternative facilities for providing diagnostic and consultancy services. Most doctors, in the past, made do with putting up a sign on their home front-door as simple private general practitioners with a handful of devoted patients in their immediate neighborhood or locality. However, today, the number of physicians and medical-help providers has multiplied and the means of providing such services have become more dynamic and diverse with the aid of technology. A doctor does not need to be with the patient to provide care, especially with common ailments. Or even in more serious cases where the doctor cannot be present and as long as there are other qualified professionals who can administer the prescription in an acceptable manner. Hence, it is not uncommon for a patient to be in a hospital for a couple of days, for instance, without having been visited by a medical specialist who may be preoccupied somewhere else although she does gets proper medical care under resident doctors. Times change and the way doctors apply their skills has also evolved with the times and the needs of the growing population. And so, seeing a doctor such as Dr. Richard “Rich” Isaacs open up his resume on a website not only changes the field of medicine in its application but also in its accessibility to those who need its benefits. For this, we have to thank the likes of him for providing a convenient way of seeking medical help without the hassle of directly interviewing or hunting for qualified medical practitioners wherever they may be found. Just a call away, Rich Isaacs, who holds an Advanced Certification in Head and Neck Oncologic Surgery, specializes in orbital, nasal, and maxillofacial surgery, as well as thyroid and parathyroid surgery. Moreover, he is trained in Facial Plastic and Reconstructive surgery and has an interest in post-tumor facial reconstruction and facial reanimation surgery. Rich is within reach to anyone needing his field of specialization in Sacramento, California where he holds his clinic. The healthiest thing any child will ever consume is his or her mother’s breast milk. Kaiser Permanente South Sacramento wants to make certain new mothers learn how to breastfeed their babies before they leave the hospital to increase the future good health for babies. Kaiser Permanente South Sacramento was recently designated a “Baby Friendly” hospital in accordance with the World Health Organization’s Baby-Friendly Hospital Initiative. The staff had a small celebration on Aug. 14. He said a special thanks to Barb Hansen, assistant manager of health education, and Cheryl Cox, manager of the perinatal services unit. “Sometimes we overuse words, but this is prestigious,” he said. Currently, Kaiser South Sacramento is one of 83 hospitals nationwide to fulfill the program’s 10-step process to become baby friendly. The Baby Friendly Hospital Initiative was launched in 1991 with help from UNICEF. Kaiser staff received a certificate of intent to work towards being admitted to the Baby Friendly program in 1993. Physician-in-Chief, Dr. Richard S. Isaacs thanked the staff for their commitment. Isaacs, an ear, nose and throat doctor, said he learned that breast-feeding a baby causes fewer ear infections as they grow. Debra Payne, program planner for First 5 Sacramento was at the Aug. 14 ceremony to congratulate the staff. First 5 Sacramento was involved with this program at Kaiser too. Joni Wuthrich, director of prenatal services, said the staff have undergone training courses, learning the importance of encouraging breast-feeding over formula and allowing new mothers to “room in,” or stay with their baby the entire hour after delivery to breastfeed. “I’ve been a nurse for 34 years and every single year more research comes out about how good breast-feeding is for babies,” she said. Dessiree Whitehurst gave birth to her first child, a girl, on Aug. 13 at Kaiser in South Sacramento. The fact that Kaiser South Sacramento is in the Baby Friendly program and promotes breast-feeding amongst new mothers was reassuring to her as a new mom, she said. Whitehurst had already started breast-feeding her baby by the next day. As part of the Baby Friendly Initiative, Kaiser will not accept free formula from vendors. “We separated our relationship with formula vendors and that is a part of baby friendly too,” Wuthrich said. Formula is prescribed when it is medically recommended for babies, rather than being a substitute for milk. Wuthrich said baby formula is healthy, but human milk is better. Not all women have to breast-feed, they support family choice too, she added. A Makahu father with a rare form of cancer is being denied a drug that may give him more time with his four young children. James Grieve, 44, was diagnosed with Desmoplastic Small Round Cell Tumour (DSRCT) last July, when the family were living in Perth. Grieve told his oncologist the family, who were originally from Britain, were only in Perth on a work visa and he and his wife Victoria wanted to take their children home to Taranaki. But they were told it was a very aggressive sarcoma and he had to start chemo straight away, Grieve said. "He made it clear I was going to die. I was going through chemo because I have four kids and something was better than nothing." After six rounds of chemo, nothing had changed, he said, so they came home. But before they left, Grieve's oncologist in Australia gave him three months worth of a trial drug, Pazopanib, which may inhibit the tumour's growth and give him more time with his four young children. However, back home in New Zealand Pharmac won't fund the drug, which costs $10,000 for three months supply. In a letter to MidCentral oncologist Dr Richard Isaacs, Pharmac said if Grieve was granted Pazopanib, people with other soft tissue sarcomas would also apply, because there was no clinical evidence to support the use of the drug specifically for DSCRT rather than other soft tissue sarcomas. So, because of the "possible budget risk" Grieve's application was declined, the letter said. Isaacs said Pharmac could define strict criteria for access to the drug, which would limit the expense. "This drug is funded for advanced kidney cancer and is quite commonly used in that setting, meaning New Zealand clinicians have experience with the drug." DSCRT is an aggressive and rare tumour that occurs in the abdomen, Isaacs said. MidCentral Regional Cancer Treatment Service, which covers 500,000 people, sees less than one case a year. The United States-run trial Grieve was treated on in Australia recommended Pazopanib for relapsed disease, as did the clinicians at the Royal Marsden Hospital in London, probably the biggest sarcoma unit in Europe, Isaacs said. "When we have a rare tumour, we try and follow expert advice, hence my application to Pharmac for funding. "Soft tissue sarcoma includes a number of different diseases, some of which have been shown to benefit from Pazopanib," Isaacs said. James Grieve said he was a realist. "I know there is no evidence to say (Pazopanib) works, but I know I feel better. I feel a hundred times better. I upped the steroids on the same day. I don't know what, but something is making the difference." Victoria Grieve said she couldn't afford $40,000 a year to prolong her husband's life. With no income for the past nine months the family had been working through their savings. The chemo didn't work and the tumours were too extensive for radiation and surgery, she said. "If we find that this does work, can't we just give the guy a break and let him spend some more time with his kids?" Pharmac director of operations Sarah Fitt said she couldn't comment on individual cases. "But we do sympathise with the situation this patient is in. In making decisions for individual patients, Pharmac looks very closely at the patient's individual situation and health need. Pharmac also needs to take into account the wider implications of individual patient decisions, such as the need to be fair to other patients seeking treatment for other conditions." Kaiser Permanente’s South Sacramento Medical Center has been verified by the American College of Surgeons as a Level II trauma center. The center got provisional verification by the group last year so it could begin operations, but the process requires reviewers to evaluate the program after it is up and running. Reviewers conducted another on-site review in March to evaluate trauma center staff, equipment and other resources to make sure they meet national standards. Full verification will be in effect until 2013. Since opening Aug. 1, the new South Sacramento trauma center has treated an average of 150 patients per month. The South Sacramento hospital serves an area from Interstate 5 east to Rancho Cordova, and from Florin Road south to the San Joaquin County line. The trauma center is a first for Kaiser Permanente nationwide. The idea behind the Kaiser internship program is to give underrepresented and low-income students a close-up view of the career promise of health care before they make a career choice. A comprehensive program that focuses on careers in demand, it can also serve as a pipeline for future Kaiser employees. The Summer Youth Employment Program is one of the community benefits Kaiser offers in exchange for tax-exempt status. There are 215 participants in Northern California this summer, about 30 in the Sacramento area. Eleven high-achieving students were selected from 150 applicants for internships at Kaiser South Sacramento. The full-time program runs for eight weeks. Students do workshops, projects and rotations in departments, meet weekly to share information — and get paid $8 an hour at a time when many high school students have trouble getting a job. 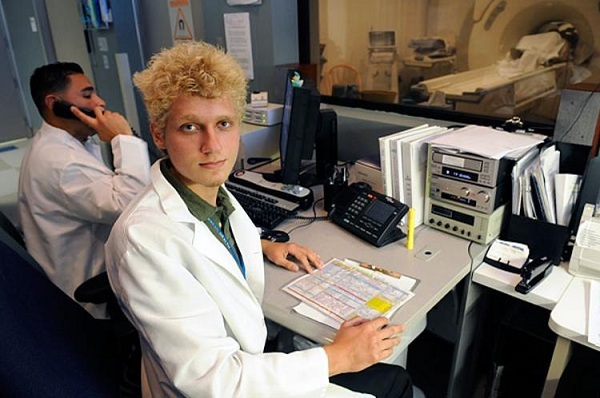 Other local health systems offer internship programs for high school students, too. But most are unpaid. “Any organized professional experience we can expose young people to — and high school seems to be the focus now — can pique interest in and provide direction for college and medical school,” said Scott Seamons, regional vice president of the Hospital Council of Northern and Central California. Karima Ziyarmal, now 23, was a 2006 summer intern at Kaiser’s South Sacramento hospital. There has been an alarming upward trend in the costs of similar treatments, as more drugs are developed and come on to the market, new Pharmac figures show. And as the price of life-saving medicines soar and pharmaceutical companies show no signs of justifying their costs, the Government is warning that something has got to give. Pharmac, the Government's drug buying agency, began funding a key blood cancer drug Thalidomide, manufactured by drug giant Celgene, in 2002. While the true costs of what Pharmac pays are confidential, the list price for the drug in 2002 was $360, based on a daily average dose for a month. Compare that with a later iteration of the same drug - Lenalidomide - which in 2014 carried a list price of $8353. A third option for blood cancer patients, whose condition might not respond so well to the first two, was Bortezomib, which had a list price of $9742. The benefits of treating cancer with any of the drugs were similar, and limited studies comparing Lenalidomide and Thalidomide showed no survival difference. When it came to differing forms of chemotherapy for breast cancer, list prices had risen 443 per cent. Anthracycline, a common chemotherapy, was listed at $975 in 2002. As two more options came onto the market - Docetaxel, also in 2002, and Trastuzumab, in 2007 - list prices rose to $2488 and $5300 respectively. A similar trend was also shown across medicines for the treatment of kidney cancer, and lung cancer, rising 411 and 44 per cent respectively. While all those costs related to the list-price of the medicines, chief executive Steffan Crauzas said Pharmac did not pay that much. How much less Pharmac paid was confidential, but the increase in the list-price showed an alarming trend that the overall cost of providing New Zealanders access to medicines was becoming more difficult. Costs were symptomatic of a price-war raging overseas, where the medicines market was not so tightly controlled by a public purchaser. According to the World Health Organisation, medicines accounted for over half of total health expenditures and were often "unavailable and unaffordable to consumers who need them". It recommended making some essential medicines exempt from taxation. Breast Cancer Aotearoa Coalition chair Libby Burgess, who led a campaign for the public funding of breast cancer drug Herceptin, said the problem was the Pharmac model. She cited Australia, where two separate bodies took care of funding decisions and then purchase of the medicines respectively. "All of that happens under one roof in Pharmac, which means its very easy for one part of the process to compromise another." MidCentral DHB Oncologist Dr Richard Isaacs said the prices big pharma was charging was "gobsmacking". "There's been a lot of criticism of Pharmac over the years, and I was involved in advocating for Herceptin, but I strongly believe now there needs to be a strong focus on the costs that pharma are charging when they introduce new targeted therapies into the market. "We certainly can't afford all of them and I think our process of carefully assessing the drugs is a good one." Associate Health Minister Peter Dunne said Pharmaceutical companies needed to justify their costs more. "I think that there's a real question about how everything starts with several zeros behind it, and think that is a question mark... but it may not solve the issue as far as access to medicines in New Zealand is concerned." Instead, it was Pharmac that would likely undergo changes in the next 10 to 15 years. Those changes were unlikely to be the kind Burgess was after, however. "Pharmac are remarkably skillfull... and they are able to put these packages together, which are impressive. But the issue I thought they would have done a little more on, is actually evaluating their decisions; was there a benefit from funding Herceptin, for instance? "We can be confident in the model at the moment, and in the forseeable future. But that's not going to [last forever]." Dunne said. "[Drug companies] have got the upper hand, and they know it. At the end of the day, no government is going to deny its citizens access to medicines."